When you’re out on the football field, there’s always a risk of injury. But that’s usually reserved for the players, not the mascots. 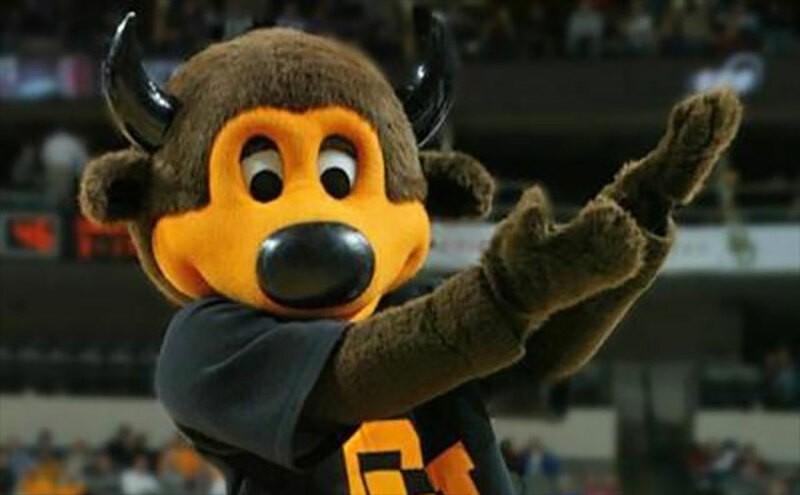 Unfortunately for Chip, the University of Colorado Buffalos mascot, an incident with a T-shirt gun put the big guy on the disabled list last week. In UC’s game with New Hampshire at Folsom Field in Denver, the mascot was operating a T-shirt gun (as mascots are known to do) to blast some swag into the crowd. Unfortunately for Chip, the mechanism on the device malfunctioned and rapidly ejected a wadded-up T-shirt right into his groin, sending him crumpling to the ground. One would think that the padding of a mascot uniform would be enough to cushion your boys from that kind of impact, btu apparently not as medical services were called and Chip was stretchered off the field. Thankfully, there was video of the whole incident. After being examined in the locker room, the Colorado mascot was given a clean bill of health and took the field to cheers in the second half of the game. As for the T-shirt gun, we think it’ll be retired from Chip’s repertoire for a little bit, at least until the swelling goes down.